It was announced in April that a funding crisis at arts centre The Drum meant the venue would have to close down after 22 years of supporting the city&apos;s alternative cultural scene. The venue in Aston eventually closed at the end of June after failing find a new source of funding. The Drum had been set for a major renovation which would have seen its capacity increase and new space added to increase its flexibility in terms of what it could host at the venue. The centre was known for organising the annual free Simmer Down Festival in Handsworth Park, which had Steel Pulse and Apache Indian on stage. Restaurateurs raised a thorny issue this month for the city&apos;s culinary sector after claiming independents were being locked out of Birmingham city centre by big chains. Senior figures in the region&apos;s acclaimed restaurant trade said landlords were only interested in letting property to larger companies. Jabbar Khan, who owns Lasan in the Jewellery Quarter, was particularly outspoken, saying that, despite running four successful restaurants, he had been unable to conclude a deal without being pushed out of the city core because landlords favoured large chains. He said he knew he had previously outbid competitors at least twice but lost out on both occasions to larger businesses. Former Conservative cabinet minister Stephen Dorrell was recruited to help Birmingham and Solihull&apos;s social and health services save taxpayers millions and avoid brutal cuts by working together. Mr Dorrell, who was Health Secretary from 1995 to 1997 and also chaired the House of Commons health select committee, came to Birmingham to reshape social care services in the city over the next five years. The NHS and council social services had agreed to team up as both face massive increases in demand as a result of the ageing population, as well as cuts in funding. Birmingham City Council alone is aiming to slash its social care bill by £60 million a year by 2019 through joint-working with the NHS. Mr Dorrell said: "I am flattered and delighted to have been asked to perform this role." Yet more plans came forward during April to save a historic Edwardian swimming pool in Birmingham from closure. Campaigners fighting for the future of Moseley Road Baths, in Balsall Heath, secured new grant funding as they bid to restore the old building to its former glory. The city-council owned baths was built in 1907 and had been earmarked for closure once the new Sparkhill Swimming Pool opened for business in 2017. 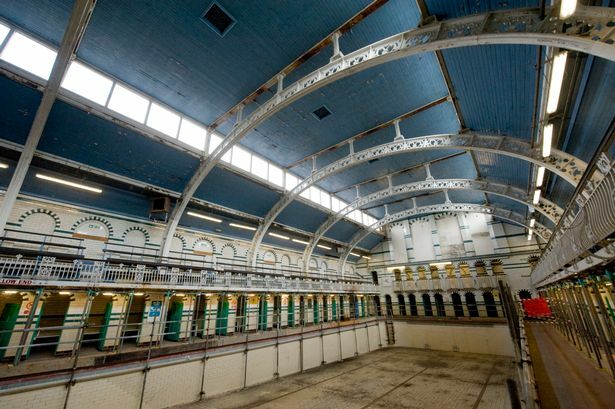 But the Moseley Road Baths Action Group won the backing of Historic England, the National Trust and Prince&apos;s Regeneration Trust to investigate fully the options for restoring the Grade II* listed building and keeping the pool open. One of the UK&apos;s largest software providers unveiled its new flagship Midlands HQ in Birmingham&apos;s Mailbox complex this month. Advanced Computer Software also rebranded to Advanced as part of the move which is expected to employ 400 people eventually. The new hub replaced the firm&apos;s existing base at Birmingham Science Park Aston. The company provides a range of software and IT services and also launched a major recruitment drive in April which is expected to create 1,000 roles over the next year or so, almost half of which will be based in Birmingham. The new operator of the London Midland rail franchise would pave the way for local politicians to take over train services, it emerged this month. The move meant it likely the new West Midlands mayor, to be elected in May 2017, would become responsible for local trains. London Midland is among the companies still vying to secure the West Midlands franchise, to be announced next year, continuing its long association with the service. But documents published by the Government showed that, whichever company won the franchise award, it would be expected to get it ready to be broken up. Plans for a gigantic rail freight transport hub, which would create up to 8,500 new jobs in the West Midlands, were unveiled by the Duke of Westminster&apos;s property group. Gerald Grosvenor, who is chairman of Grosvenor Group, is funding development of the new logistics hub in Staffordshire which is aiming to tap into the region&apos;s manufacturing success and transport system. The plans for the freight interchange were revealed by a consortium called Four Ashes and the project, which is expected to take around a decade to complete, will cover about 615 acres of land west of junction 12 of the M6. The development team said it was hopeful the project - called West Midlands Interchange - would attract major occupiers from sectors such as logistics and retail which are seeking strategic locations from which to base major operations. In what became an ongoing theme during the rest of 2016, sports stars and community leaders threw their weight behind Birmingham&apos;s bid for the 2026 Commonwealth Games. Olympic gold medal winner Mark Lewis-Francis joined city MPs in calling for a bid to host the 2026 Games, at the time still months away from Birmingham officially announcing it would campaign to be the UK&apos;s bid city. The cuts-ravaged city council previously said it would not consider the Games but, after the Mayor of Liverpool outlined ambitions to bid, it was urged to be reconsidered. The 2026 Games would coincide with the opening of Birmingham&apos;s HS2 station and giant Curzon and Smithfield regeneration schemes – and city leaders said it would offer an international showcase.